7 Bathroom Cleaning Tips and Hacks that Will Save you a Lot of Time! 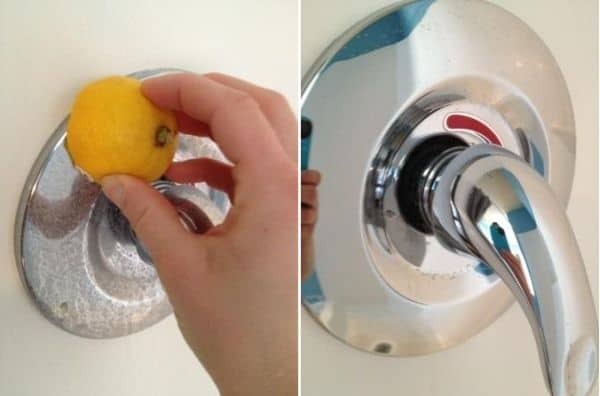 To remove water stains from chrome appliances and hardware, use half a lemon and rub it onto the surface! Now, look how shiny it is! 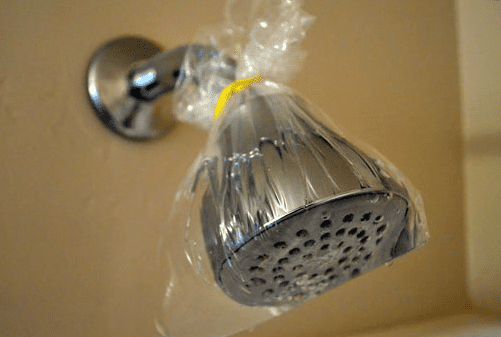 An original and easy way to clean a clogged showerhead is to fill a bag with vinegar and tie it around the showerhead. Let it sit for a few hours and then remove the bag. Check the results, isn’t it like a new showerhead? 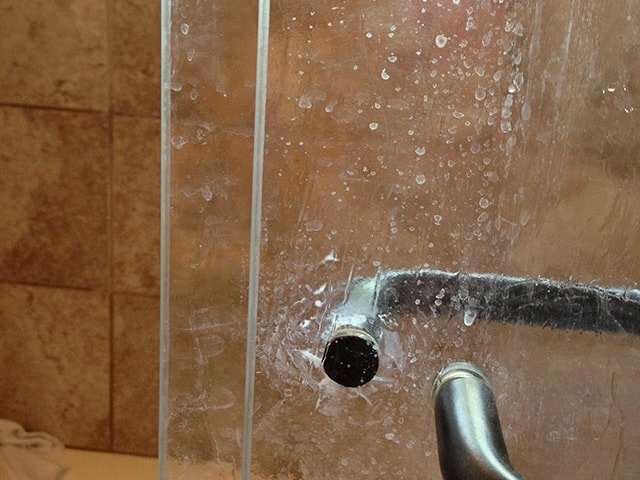 This cleaning tip is actually an after cleaning hack for your glass shower door. The problem is that the shower door gets water stains as soon as you open the water, no matter how properly you clean and wipe it. To keep it clean longer and prevent water stains on the glass shower door, use Rain-X or other water repelling product. Yes, it’s that basic and affordable spray that is usually used for cars against the rain. But glass and water is still glass and water, right? So why don’t you help yourself to keep the bathroom clean while working less time on it? By the way, if your bathroom mirrors get water stains as well, use the same trick with Rain-X, it works for any glass surface. If you don’t have a shower door and instead you use a shower curtain liner, cleaning it can be another problem. But not with our cleaning tips! Just throw it in the washing machine with a bit of vinegar! It’s so much easier than scrubbing the curtain by hand! 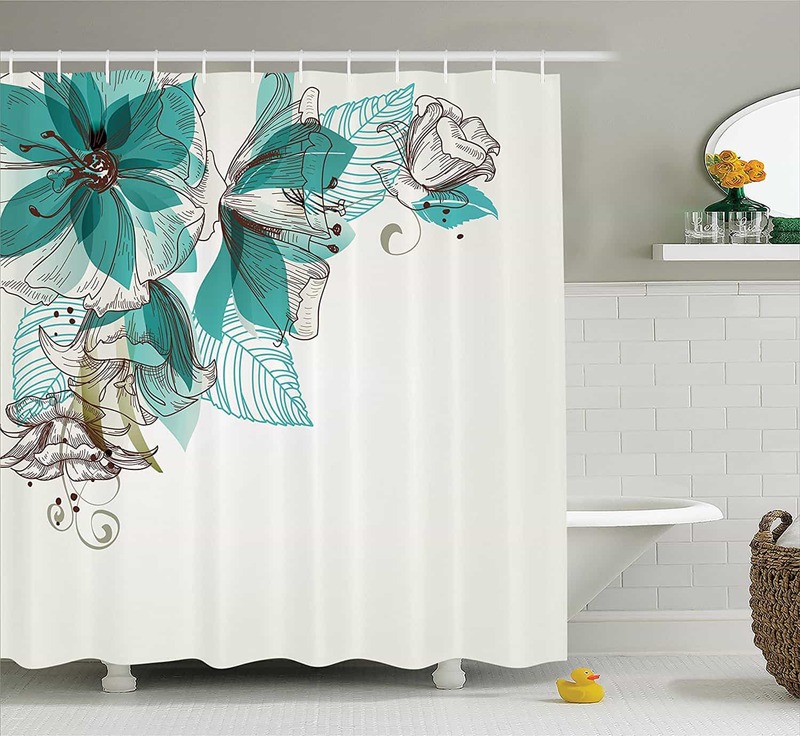 By the way, I really like this shower curtain below, if you were wondering where to get it – check on Amazon Turquoise Shower Curtain Decor by Ambesonne . They have so many cool designs, it’s amazing actually how a shower curtain can become the center of the environmental design and create so different mood with mind-blowing prints. Seriously, these curtains are great, if I had no shower glass, I would definitely go for one of these, moreover, they are machine washable, so our new cleaning trick works fine! When you clean mirrors, use a microfiber cloth. It should be wet but not drippy. I know that most of us use a microfiber cloth for cleaning screens or when cleaning cars, but why cleaning mirrors should be any different? 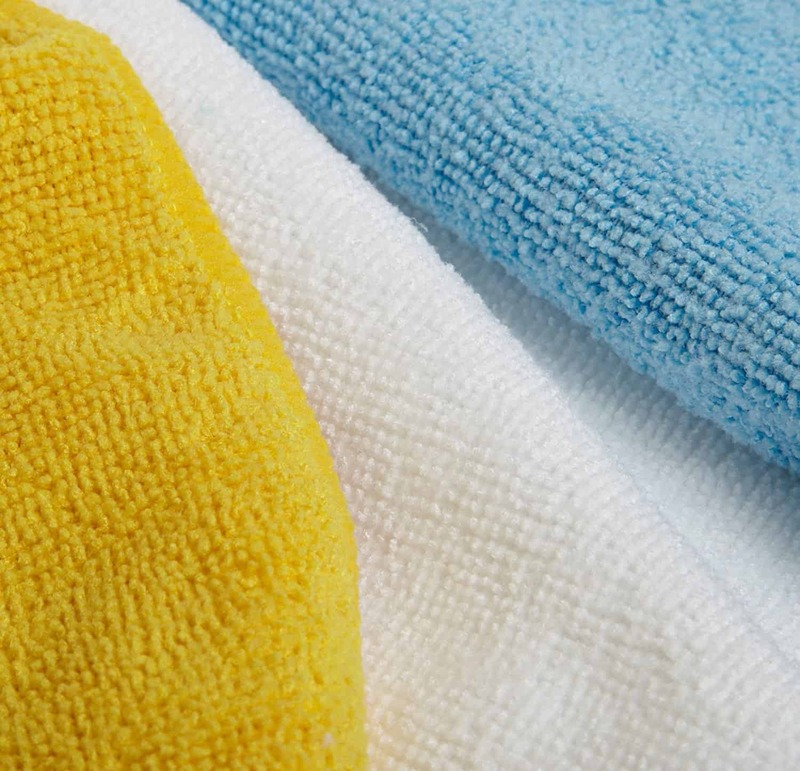 Microfiber towels are excellent at picking up all the dirt and even absorbing oils. 6. Remove black mold from bathroom sealant! 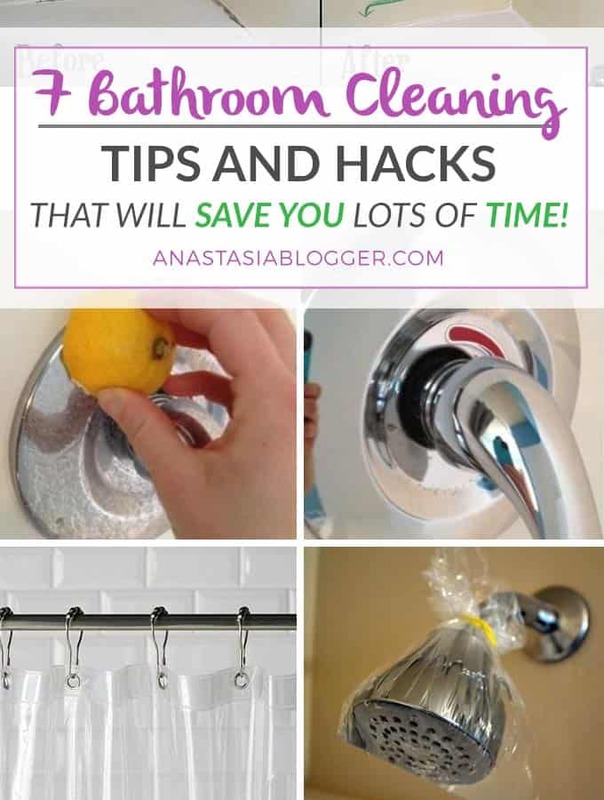 If you found these tips useful, just save THIS PIN or the image below to your Pinterest Cleaning Hacks board – and get back to check them again! Thank you for your kind evaluation, I’ll do my best to keep the quality of the content! The theme is paid called X-Theme and then customized by Nuno Silva (his design portfolio here). I love using natural products! I think that the idea with the vinegar is more than amazing! Thanks a lot for sharing it here! Regards!